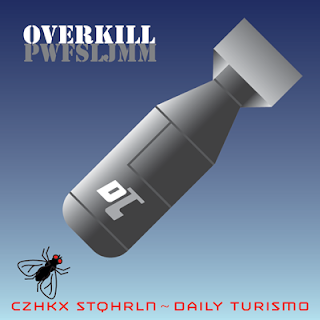 Regular readers of DT may have noticed the new overkill badge recently created by our logo guru Kaibeezy --it's a winner for sure. KBZ created a larger 400x400 version of the badge to highlight some of the finer aspects of this created from scratch masterpiece. 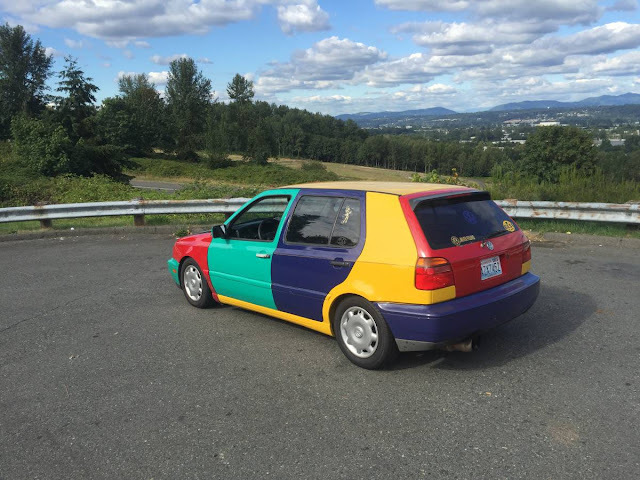 At the same time, I thought this would be a good time to ask everyone search craigslist/eBay/forums/internet for the best automotive examples of overkill. What is overkill? I don't think I can really explain it, but here is a '96 Suburban with a "Hummer Body Kit", and here is a 1998 Ford Mustang with a crazy exposed blower. No budget. Find some overkill. As if a tuner Veyron was not a bad enough idea since even the factory wheels aren't rated as safe after two changes of of tires this thing is ugly on top of that. Oh and it even has a Lyft ride sharing mustache on the nose! Was that tested that at 250 mph? Who does your estate sue when this thing falls apart? And is that an optical illusion, or are there ripples in the faux-carbon-fiber wrap on the front? 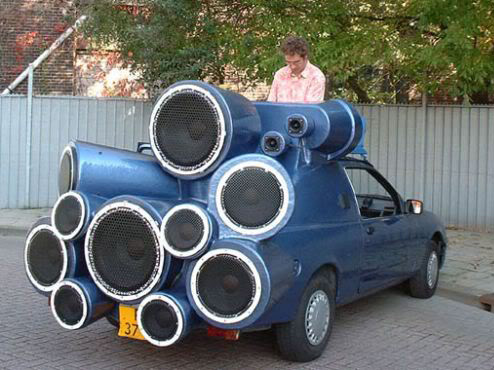 Yep, that's overkill right there Tim! Nice find. If I needed a new car, I would seriously consider it. Average new car price, and you have a rebuilt drive-train with less 5K on the engine, and less than 80,000 miles (convert from KM) on the body...plus 1000HP isn't that bad either. $38 large for a first gen MR2.... what do I win?